Men Shirts trend are ever-changing. 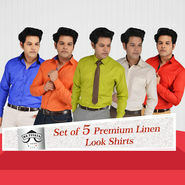 Over the past few years, the shirt industry has experienced new changes in terms of designs, materials and colors. Also, the buttons, sleeves and collars have undergone a remarkable change. Men's shirt has become more stylish than ever. 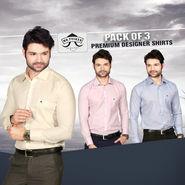 Today, having a good collection of casual and formal shirts is quite an achievement for men. 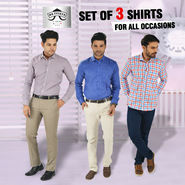 Whether you are in your office or simply attending a quality lunch with a group of important clients with Naaptol's widest and trendiest range of men shirt collection you will never go wrong with your formal and casual look. 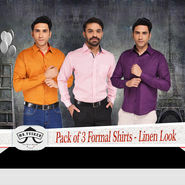 Every man wants to look good and therefore needs a good collection of formal shirts to wear at work and casual shirts for weekend's fun. 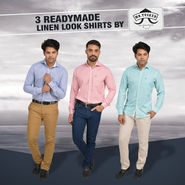 With numerous patterns such as checks, lines, plain shades, and printed designs from world-class brands like Belmonte, Van Heusen, Numero Uno, Louis Philippe, Provogue, Indigo Nation, and many others. 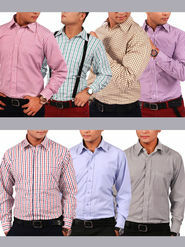 Naaptol offers loads of formal and casual shirts to choose from. 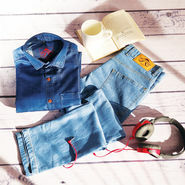 All these apparel brands are well-known for their premium quality clothing and impeccable designs. 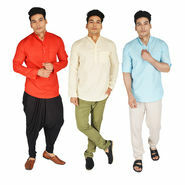 Hence, Naaptol one of the best online megastores, allows you to browse through the entire mens collection and select the gents shirt that best describe your fashion statement. Moreover, the site also offers safe payment options and also allows payment on delivery alternatives. Naaptol is just a one stop online shop for the all the fashionistas out there. So, Order your product today and enjoy various benefits available only at Naaptol.com.